As many of you know I have been part of the transportation industry prior to starting my art business. Since starting my business I have always drawn cars, trucks, and been involved in car shows and truck show over the years. People who have collector cars and trucks love their vehicles. They attend cruise nights regularly, show their vehicles off at specialty shows and join clubs that are for their age or make of vehicle. Any reason to drive that car or truck is the goal of the Summer until that dreaded day that it must be stored for Winter. This may be an option for you to give the perfect gift. What is a vehicle caricature? Don’t car enthusiasts have enough pictures of their cars? The answer is of course they do and that is good and bad. It’s good because giving them a framed photograph of their favourite vehicle won’t be that special unless some professional elements come into play. That’s where a car caricature comes in. A car or vehicle caricature can offer that favourite vehicle with a different twist and be exceptionally personal. That’s because you can add other elements not available when taking a photograph. 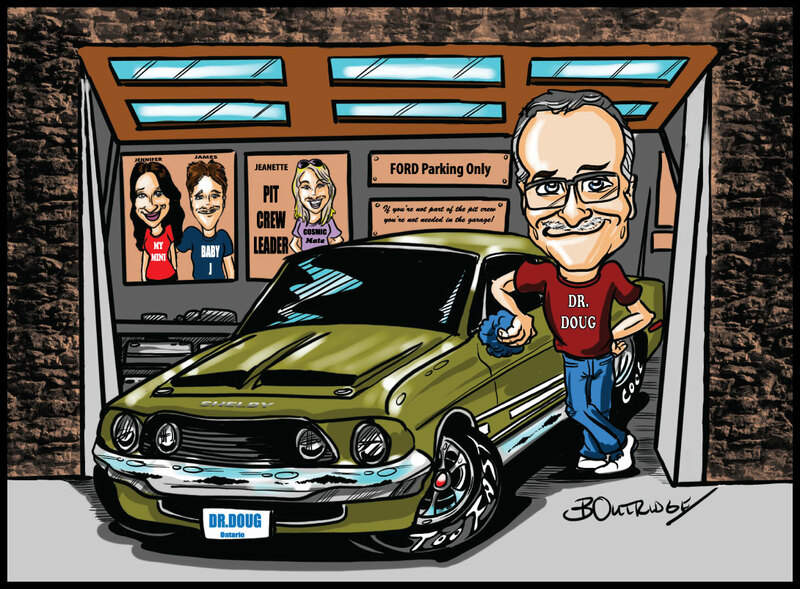 This makes it very personal like this one done for Dr. Doug and his Mustang. How does a vehicle caricature work? Well the first thing you will need is a picture of the vehicle. Pictures of the vehicle preferably one from each side of the vehicle. If there are any special elements like hood ornaments and the like make sure to get pictures of those as well. Once you have the pictures the next step is finding an artist style that you like. Remember that style is very important when commissioning any type of art project. Once you have the artist, the pictures, you then need to write up what we call the brief. The brief tells us artists the other elements that you would like in the picture such as in the picture above having family members as the pit crew on the wall. Do I have to think up all that stuff? As an artist we just need the main elements. Things like parking signs, licence plates and other elements are usually added by the artist to give it a humorous effect. This is a great way to offer a personalized gift for a special day such as Christmas. Of course if you want just a picture of the vehicle with no background elements then that can be done as well. We just need to know that up front. Below is an example of a vehicle caricature that is just the vehicle in caricature form. So if you are looking to take that car show inside for the Winter months or looking to give that car enthusiast a unique gift then a car caricature may be the answer. Now is a great time to get those pictures of the vehicle so you can start the gift commission process in lots of time for the big surprise. 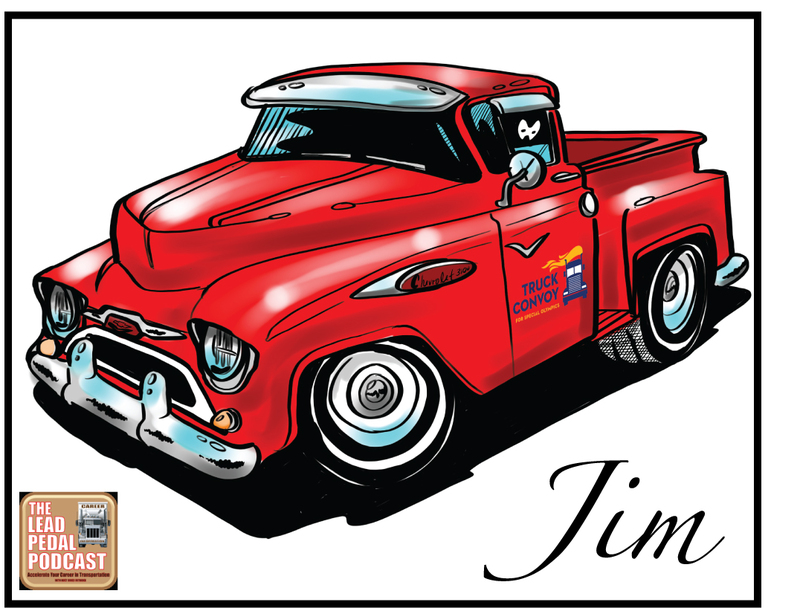 If you want to check out more vehicle art caricatures then click here. If you want to see gift caricatures with background elements then click this link.